The big day is drawing closer for your destination wedding in Granada – Spain, the venue is booked, the flowers ordered, the dress has its final touches, flights have been bought and hotels reserved and just as you start to relax the emails from your guests arrive asking a hundred questions about your wedding destination. How do they get there probably being the most important. Hopefully we have covered all you need to know here in our AWOL guide to Granada for your wedding guests, so you can relax and just send them all this link. Granada has an airport only 12km outside of the city centre Granada, a 15 minute taxi drive which makes it very convenient and will cost about 25 euros, depending on traffic. Alternatively the airport bus meets every flight and takes you into city centre for only 3 euros. 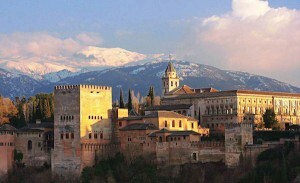 There are flights to Granada from Madrid, Barcelona and Palma Mallorca with Vueling, Ibería and Air Europa Airlines. British Airways also operates a direct flight from London City Airport. Malaga airport has a lot more flight options and is considerably cheaper than Granada. There are buses direct from the airport and also from the bus station. The direct bus route to Granada picks up passengers at T3 arrivals forecourt road, opposite the transportation hub. Buses to Granada depart from the airport at 10:45, 11:00, 11:30, 16:00, 18:30 and 20:45 with a journey time of 2 hours 30 minutes. The fare is €11,43 single or €22,86 return but prices do vary and there are sometimes special offers for as little as 5 euros to be found online. The buses from Granada to the airport depart at 13:15, 16:00 and 18:30. If these times are not convenient there are buses from the airport to Malaga Bus Station, which picks up just outside arrivals, it is well signposted and costs about 1.50 euro per person. At Malaga bus station you need to go to the ticket office “Alsina Graells”. Here you can buy a ticket to Granada. Buses go more or less every hour from 7am until 9pm and they cost about 10 euros per person. When you arrive in Granada you can take a taxi from the bus station to your hotel for about 10 euros. If you have a group of guests arriving at the same time, AWOL can arrange transfers for you in a private minibus. 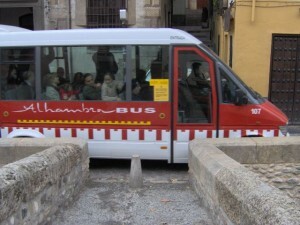 A minibus for up to 22 passengers costs approximately 340 euros to Granada city centre. Please contact Theresa on (0034) 958521875 or info@awolgranada.com to book. We do not recommend that you hire a car just to get to Granada as parking and navigating around the city is difficult but if you do please be aware that many hotels do not have parking, and driving around Granada is not easy due to the one way system and most of the city centre has restricted access to traffic. Public carparks in Granada cost from 20 euros a day. A taxi for 4 people from the airport costs approximately 170 euros if you order it through Theresa at AWOL, and a taxi for 7 people costs 190 euros. If you take a taxi at the airport they will charge a lot more and probably won’t know where they are going once they get to Granada. In order to arrange for a taxi to meet you at the airport, Theresa will need your flight number, time of arrival and departure airport. It is useful to know where these are for picking up maps and information or asking advice in general. The staff will speak English. Many tour companies in the city are now offering free taster guided tours of the city. Granada is a fantastic city for walking and exploring. Have a look at the following links to get an idea of what there is to see. 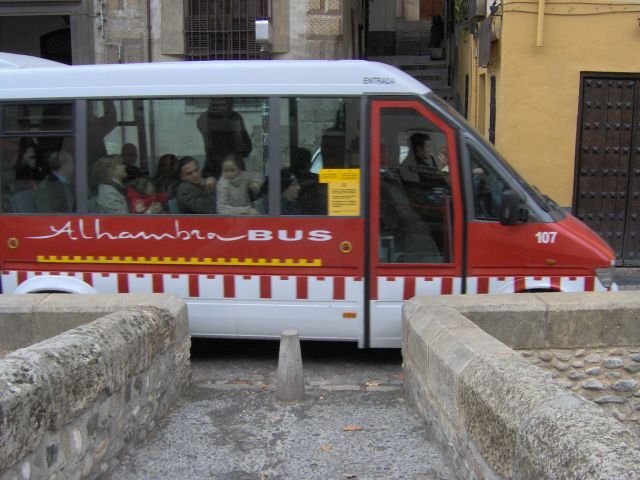 In Granada city centre everything is within walking distance but you may find the small red buses useful for getting up the steep hills of the Alhambra, the Albaicín and Sacromonte. The C1 takes a circular route from Plaza Nueva and travels through the heart of the Albaicín returning to Plaza Nueva along the Gran Vía. Take the C1 to get to the Mirador San Nicholas for fabulous views of the Alhambra and to explore the old Arabic neighbourhood. 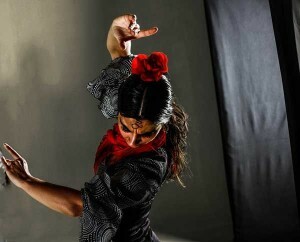 C2 leaves from Plaza Nueva and goes to the Sacromonte, the old Gypsy neighbourhood with its caves and flamenco bars. The C3 goes from Plaza Isabel la Católica, by the statue of Christopher Columbus kneeling in front of the Catholic Kings, and goes through the Realejo and up the hill to the Alhambra and Generalife. C4 also leaves from Plaza Isabel la Católica and goes through the Realejo and up the hill to the Cementary. 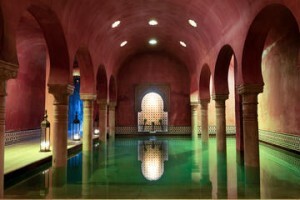 Relaxing in the spa baths is definitely on our list of things to do in Granada. Best to book in advance as they are very popular. These baths are just off Plaza Nueva behind the Santa Ana church. 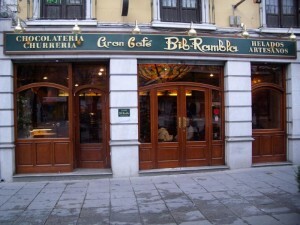 Breakfast is served from 7.30 to 11 am in cafes all over Granada. Coffee, fresh orange juice, herb teas, hot chocolate, toast and pastries are all on offer. 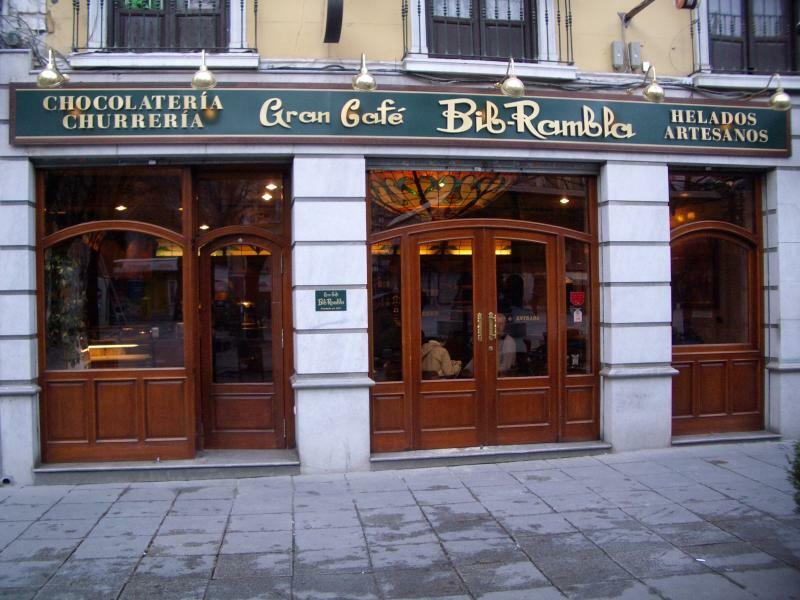 A traditional breakfast in Granada for special occasions is chocolate and churros, a type of doughnut, look out for the cafes in Plaza Bib Rambla which specialise in this dish. 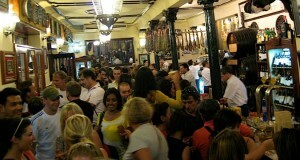 Granada’s main market is located just off Gran Via. 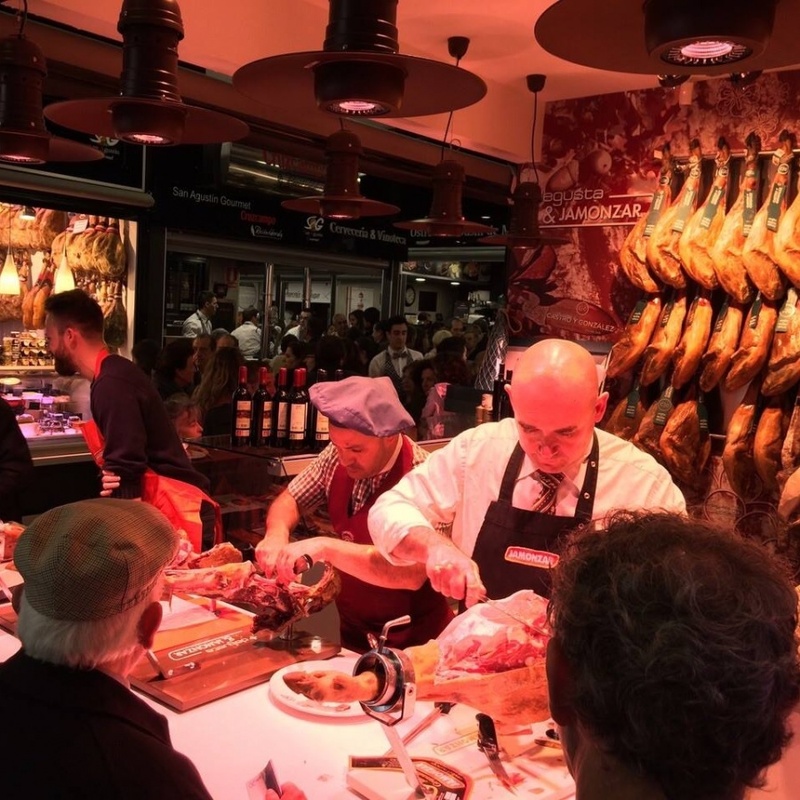 This is the perfect place to pick up fruit, olives, cheeses, ham and chorizo. There are plenty of fish and meat stalls which offer plates of prawns or ham which you can buy to eat at the tables provided, while also picking up a beer or wine from the central bar. Tapas are a big part of the culture in Granada and are usually served from 8 pm onwards though some bars do serve tapas all day. 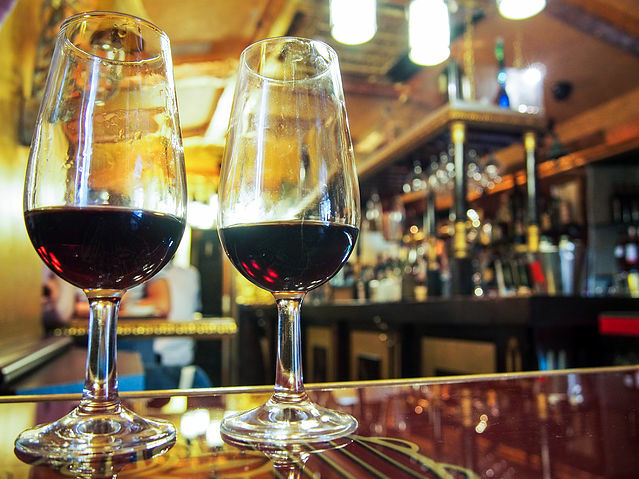 It is hard to walk a few metres in Granada without passing a bar but good areas to explore the tapas bars are around the Cathedral, Plaza Bib Rambla, Calle Navas, Plaza Nueva, Calle Elvira, Realejo. You will get a free tapa in most bars along with your drink, providing you are drinking beer, wine or soft drinks. If you are drinking spirits they will assume you are not interested in food any more. A tapa is a plate of food that can vary from a few slices of ham on bread with olives to a small helping of paella. You don’t usually get to choose your tapa but if you are vegetarian it is worth telling the waiter as they will usually accommodate you, just say “soy vegetariano”. Papas a lo pobre – slow cooked potatoes and pepper in olive oil. Pimientos asados – roasted green or red peppers served either hot and salted or as a salad with olive oil. Tips are not expected in bars, you would normally just leave some loose change, in restaurants tips are normally around 5%. However, waiters and waitresses are paid very badly here so if you do get good service a more generous tip is always appreciated as it is everywhere. Meals times are 2pm -4pm for lunch and 8pm – 11pm for dinner. Francisco offers an excellent evening in his kitchen La Oliva offering up a tasting menu of local food and wine. In winter when the snow is on the Sierra Nevada, usually from November to April, your guests may be tempted to hit the slopes. Just 32 kilometres away from the city the bus leaves from the bus station from Monday to Friday: 8:00, 10:00 and 17:00. 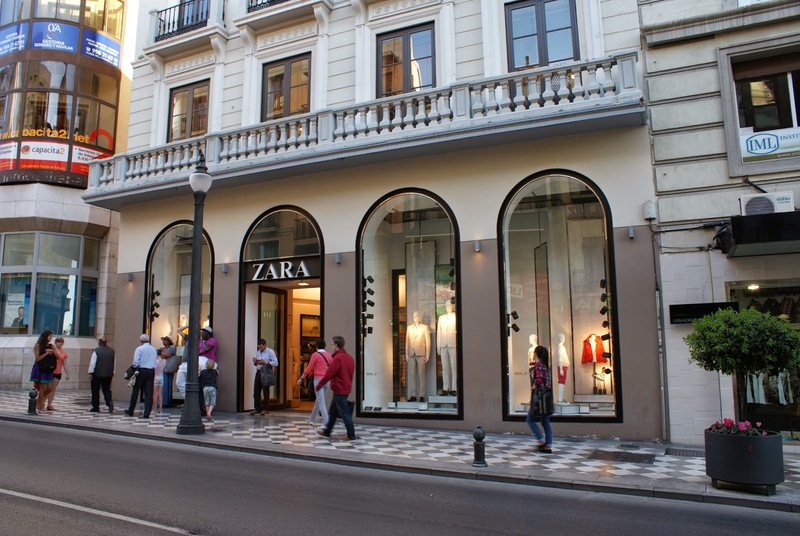 The main shopping area is in Calle Recogidas and Los Reyes Catolicas where you will find Zara, Mango, H&M, Benetton and plenty of shoe shops. 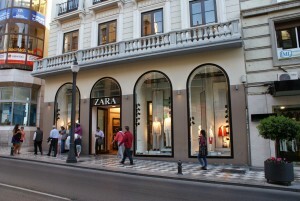 El Corte Inglés is the only department store in Granada, located on Acera del Darro, it is open all day. It sells everything from clothes to electronics to stationary and in the basement is an excellent food department. All shops are open from 10am until 2pm and then 5pm until 8pm Monday to Saturday. The big chain stores will stay open at lunch times. Nearly all the shops are closed on Sundays except tourist shops. The main post office (Correos) is in the center of the city at Puerta Real 2. These are government licensed tobacco shops and are found throughout the city selling cigarettes and usually have a good stock of cigars. You can also buy stamps here for letters and postcards. 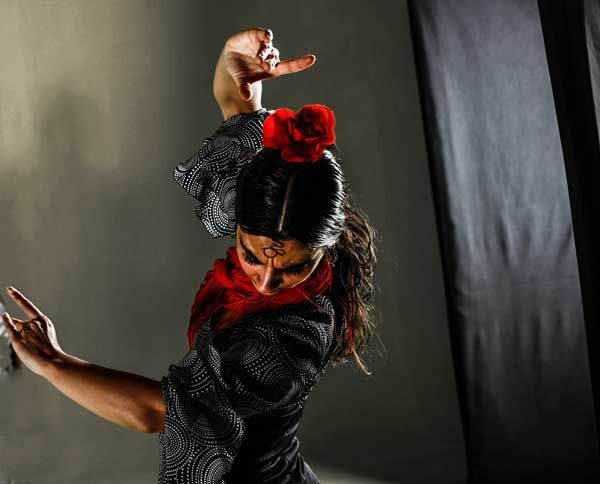 Clothing wise, the temperatures in Granada in the summer can vary from anywhere between 20-35 degrees and it can also get quite chilly at times, particularly first thing in the morning and in the evenings so it is best to bring layers. For ladies going out in the evening it is a good idea to bring a pashmina or a shawl with you. Granada city centre is flat but the Albaicin and Alhambra are on hills with lots of cobbled streets so flat shoes are also highly recommended.